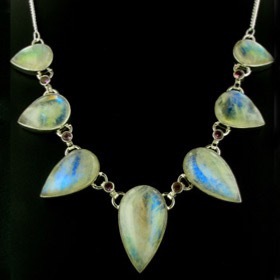 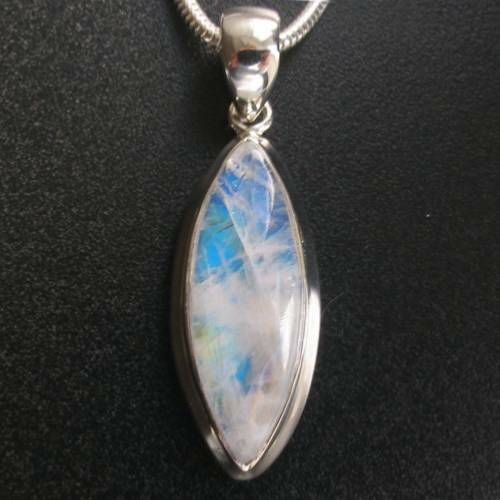 Rainbow moonstone marquise pendant set in sterling silver. 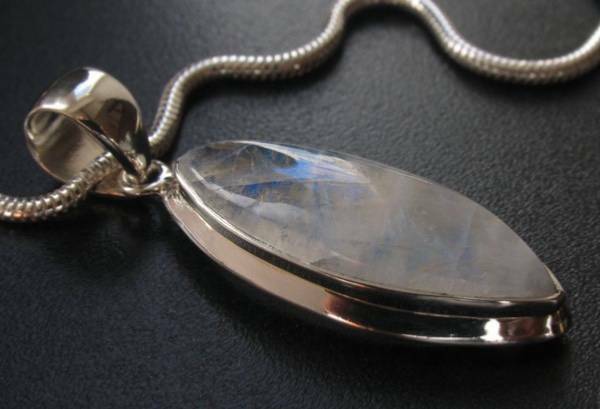 This slim and elegant marquise moonstone displays glorious schiller (the floating blue light characteristic of this semi-precious gemstone). Under the surface of the stone is a wonderful bright blue light and a rainbow shaft which move through the stone as the light catches it. 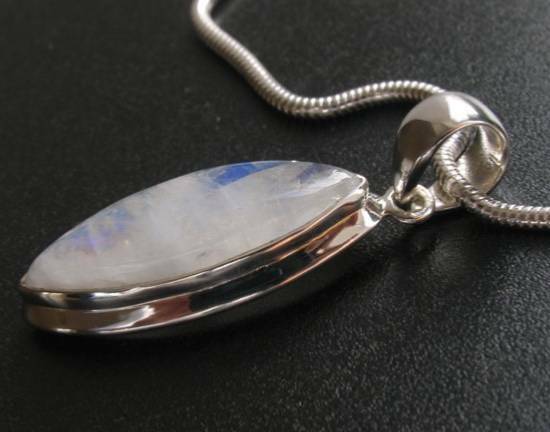 This stunning moonstone pendant is framed in sterling silver and finished with a plain, smooth bale. 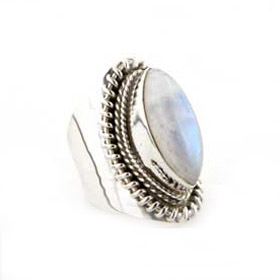 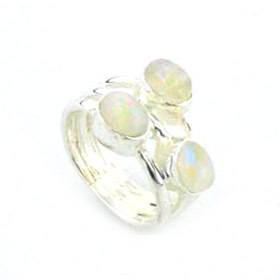 Team up with other moonstone jewellery. 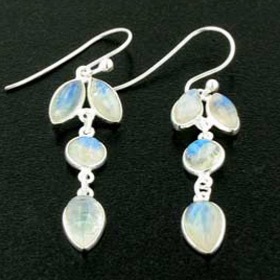 In India, moonstone is considered a sacred gemstone. 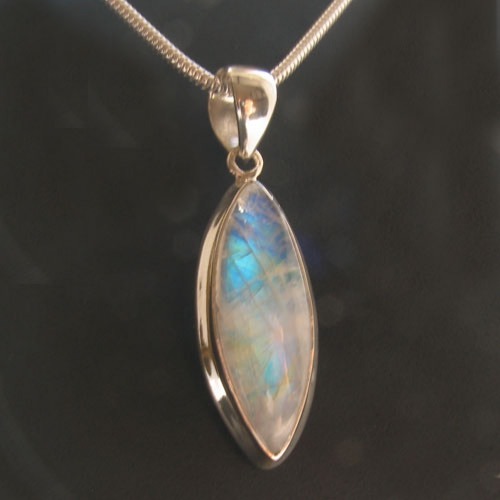 Learn more about this iridescent gemstone in About Gemstones. 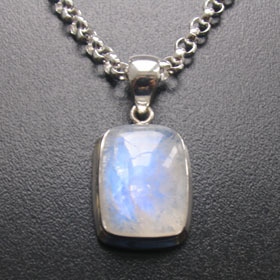 We chose our silver snake chain, width 2mm to photograph with this moonstone pendant. 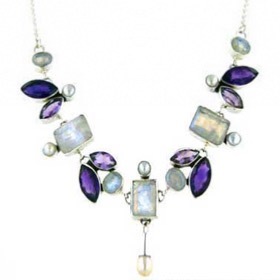 It's a sleek, fluid chain and available in lengths 14" to 30". 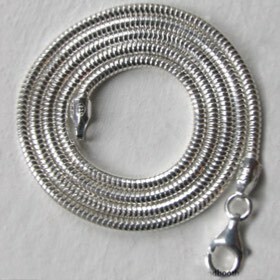 See our entire collection of Italian silver chains to make your own selection.